We’re Proud Of Our Artist! Why do you ask? Because Julia Wade, President of Watchfire Music, recently won the role of “Red” (second female lead) in the West Coast premiere of the Broadway Musical: The People in the Picture. 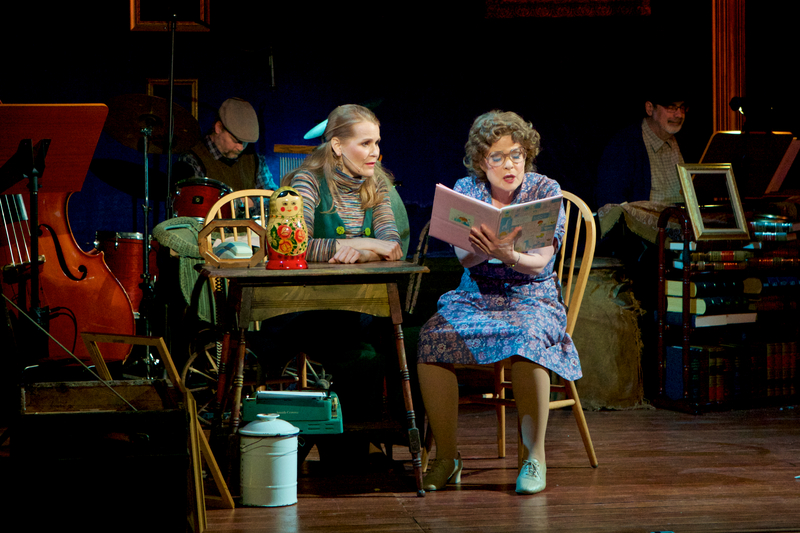 In 2011, the musical had a limited run on Broadway and earned a Tony Award nomination for its star. Penned by Iris Rainer Dart (acclaimed TV writer, playwright, and author of Beaches) and legendary composers Mike Stoller and Artie Butler, this fiercely funny and deeply moving new musical spans three generations and celebrates the importance of learning from our past and the power of laughter. A West Coast premiere, this moving production deftly moves through timelines in 1930s Warsaw and 1970s New York where darling of the Yiddish Theatre, Raisel Rabinowitz, brings the people in her picture to life taking the audience on an unforgettable journey.